Keeping my kids active in the colder months can be challenging – we live in northern Michigan, and none of us are particularly fond of cold and snow. (No, I don’t know why we still live here). 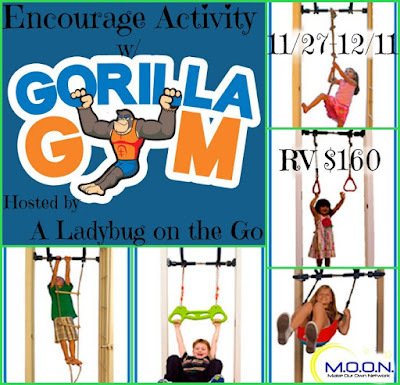 But some genius came up with the Gorilla Gym, which my boys would absolutely love! (And I think I’d love it too, because it might actually wear them out enough so they’d be tired by bedtime!) One lucky reader is going to win this great prize – keep reading to learn more and then enter to win below! 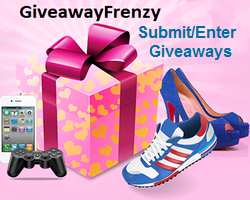 This entry was posted in Giveaways and tagged Giveaway, Kids by Tara.Bookmark the permalink. I encourage them by doing lots of outdoor family activities like bike riding and hiking as a family! I feel if we all do it, they will form healthy habits and continue to do it on their own as they get older! My daughter is a teen, so it’s hard getting her to do anything! But we have a treadmill in the basement and several streaming subscriptions so she can work out when she likes. I also encourage her to help with housework, but… hah. We keep our kids active by giving them a lot of activities to do indoors as well as participating in groups at church that encourage activity. We keep our kids involved in sports year round, and limit electronic use to encourage physical activity. I encourage activity in my children by 1) setting a good example, and working out regularly, and 2) making sure we get lots of activity together, as a family – walking, biking, and swimming in our backyard pool together!